Take your snack game to the next level with a bowl of Prosciutto di Parma Fricos (trust us). These cheese crisps are a satisfyingly crispy prosciutto appetizer that come together quickly in the oven, taking little effort but providing a big payoff. 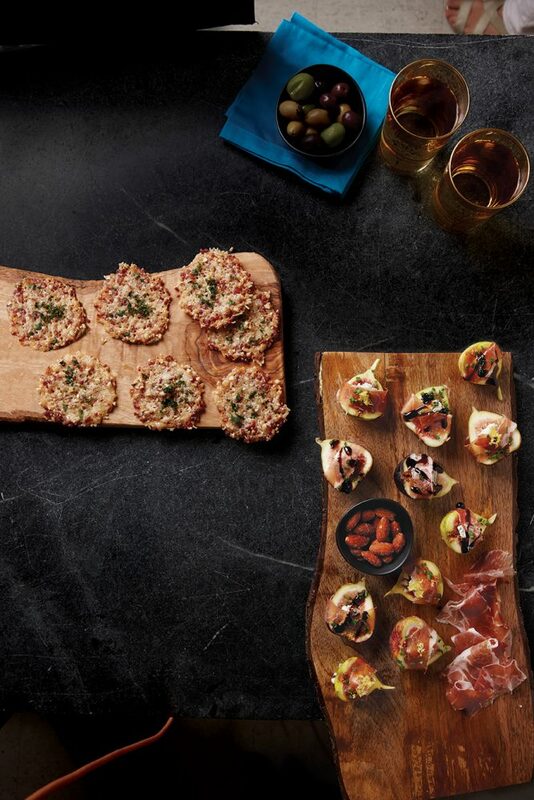 Perfect for your next guys’ or girls’ night-in, this crispy prosciutto appetizer blows potato chips out of the water with its layers of flavor. Whip these up in 20 minutes or less, pair with a cold glass of Belgian Witbier or a Hefeweizen, and enjoy an evening with friends. Recipe originally featured in Fine Cooking magazine. Position a rack in the oven in the center of the oven and preheat to 350° F.
Line 2 large baking sheets with parchment. In a large bowl, combine all of the ingredients. Place 2 tablespoons of the mixture on a baking sheet to form a 2-inch round. Spread the mixture evenly with a fork. Repeat with the remaining mixture, leaving 3-inches between each round. Bake each sheet, one at a time until they are a deep golden color, 12 to 15 minutes. Remove from the oven, sprinkle each frico with a little parsley, and cool for 5 minutes. Using a small offset spatula or thin knife, gently lift the fricos and transfer to a rack to cool completely.